The first game of FC Cincinnati at home in the MLS. The full game. It's a good one. 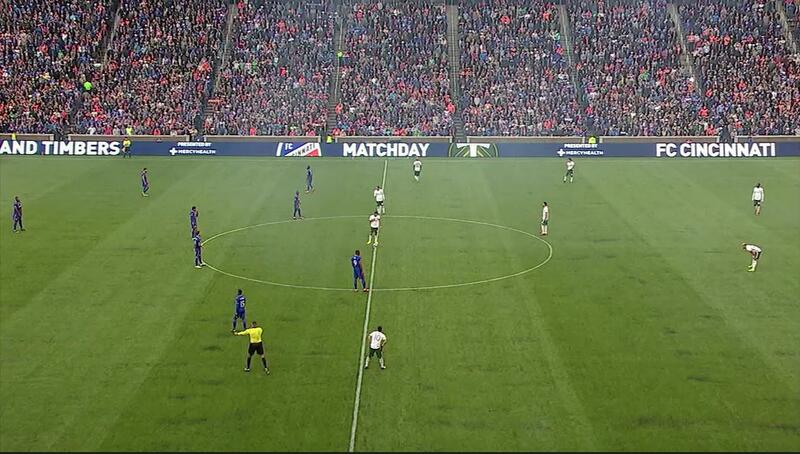 I saw FC Cincy play Miami FC a year or two ago when they met in Miami for the US Open Cup. FC Cincy had 3K away supporters. Have you attended a MLS game within the last 5 years? Boy that sounds like banishment. Nobody wants to go to Commerce city. But that is where the dog track was where I started gambling. MLS is doing way better in popularity than the average American-very-casual-soccer-fan thinks.